We calculate the radiative fluxes towards infinity and down the black hole due to a scalar charge in circular orbits about a Reissner-Nordström black hole. The multipole modes of the scalar field was calculated using the Green's function method in the frequency domain. From the multipole modes, we calculate the energy fluxes towards infinity and down the black hole. The black hole's charge-to-mass ratio is the controlling parameter of the Reissner-Nordström geometry. We pay particular attention to the dependence of the radiative fluxes on this parameter. J. Castillo and M. F. I. Vega. 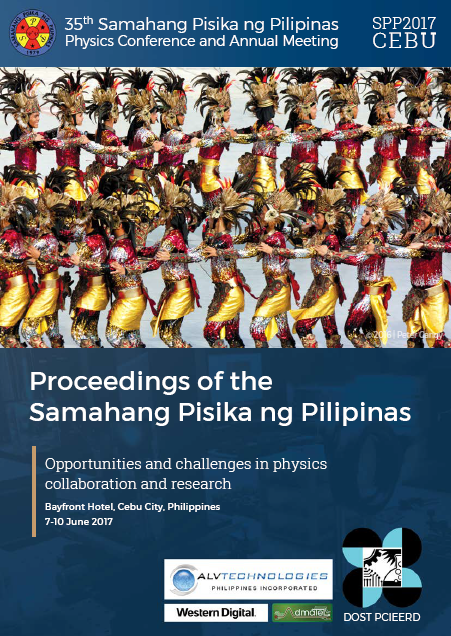 Radiative fluxes for a scalar charge in circular orbits about a Reissner-Nordström black hole, Proceedings of the Samahang Pisika ng Pilipinas 35, SPP-2017-3C-04 (2017). URL: https://paperview.spp-online.org/proceedings/article/view/127.